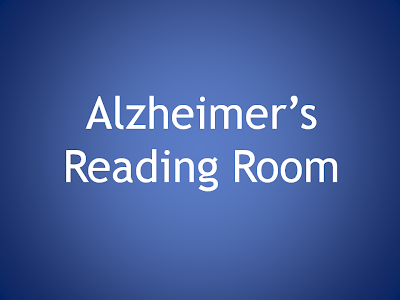 The goal of the Alzheimer's Reading Room is to Educate and Empower Alzheimer's caregivers their families, and the entire Alzheimer's community. In the Alzheimer's Reading Room (ARR), we offer "real life" solutions to problems that Alzheimer's caregivers face each day. The website contains a knowledge base of more than 3,800 articles. These articles can be found via a keyword search using the search box on the right hand side of every webpage. We add new information to the knowledge base every day. Earlier today, Carole Larkin published an interesting article -- How the Loss of Memory Works in Alzheimer’s Disease, and How Understanding This Could Help You. The article described in layman's terms how problems with short term memory are directly related to the region of the brain known as the hippocampus; and, how when this brain region stops functioning properly a person losses their ability to store information. A person suffering from Alzheimer's disease can hear you and even respond to you. What they can't do is remember what the hell you just said. Well, in layman's terms anyway. I grappled with this problem several years ago as I was constructing my own understanding of how Dotty was thinking (or not thinking) and feeling. I named the parallel universe that Dotty lives in -- Alzheimer's World. At the most recent TEDMED conference Rudy Tanzi spoke about the plan to end Alzheimer's disease by 2020. Rudy Tanzi is one the world's leading Alzheimer's disease research scientist. Click above to Listen. Please share this podcast with family, friends, support groups, and the Alzheimer's community. The more I learned the more I wanted to know. I learned a great deal about Alzheimer's disease--including the science. It helped me understand a very mystifying disease. It helped me to put a frame around something that is difficult if not impossible to describe. When Alzheimer's strikes communication and behavior change abruptly -- overnight. It is up to the caregiver to adjust since the person suffering from Alzheimer's is incapable of the adjustment. Understanding this need is the first big step. The decision to keep a parent home or place them in a facility is never an easy choice, and is usually contemplated for a long time. The horror stories we’ve all heard about nursing homes can make anyone cringe. Bob DeMarco is the editor of the Alzheimer's Reading Room and an Alzheimer's caregiver. Bob has written more than 1,200 articles with more than 9,000 links on the Internet. Bob resides in Delray Beach, FL. This isn't simple to do, but it is necessary -- you need to start accepting that when a person suffering from Alzheimer's says something they believe to be true it is in fact a reality. It is their reality. It takes a lot of energy, learning, and patience to deal with the Alzheimer's disease. 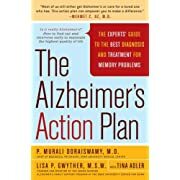 In order to begin the process of dealing with communication in a world fill with Alzheimer's you first need to make a simple important decision -- you want to decrease both your stress as caregiver, and the stress of the person suffering from Alzheimer's. This presentation on the Housing and Credit crisis is the best I have seen. It explains everything from soup to nuts. Each slide contains a graph that is well explained. Once you get through this, you will understanding the current credit crisis in housing, and what to expect in the years ahead. If you take the time to view and read this you will be fully informed. Hit the full screen button in the upper right hand corner of the panel below. Bob DeMarco is a citizen journalist and twenty year Wall Street veteran. Bob has written more than 500 articles with more than 11,000 links to his work on the Internet. Content from All American Investor has been syndicated on Reuters, the Wall Street Journal, Fox News, Pluck, Blog Critics, and a growing list of newspaper websites. Bob is actively seeking syndication and writing assignments. Are the Democrats peddling voodoo economics? 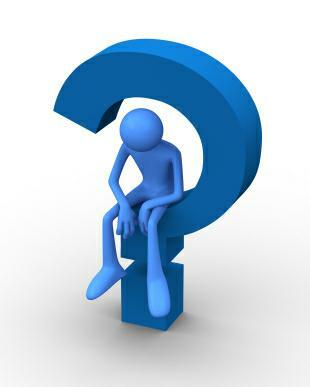 If it is not Alzheimer's, What is it? 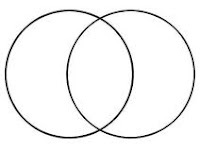 According to Bob Pisani's blog, "Goldman Sachs: A Sigh Of Relief On Street" what company did Credit Suisse criticize?